What’s That App?- Josh Dallas & Jared Gilmore. 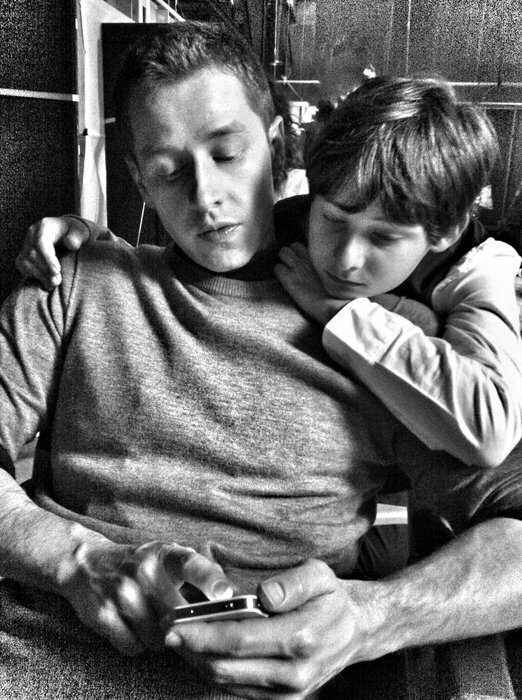 Jared Gilmore (Henry) spends some time with his on-screen grandfather Josh Dallas (David Nolan/Prince Charming). Wallpaper and background images in the once upon a time club tagged: once upon a time joshua dallas jared gilmore. This once upon a time photo might contain neonate, newborn, newborn infant, newborn baby, capuz, and capa.